CAPS United reduced the gap at the top to just a single point with a 2-1 win over Triangle at Gibbo Stadium this afternoon. Veteran skipper Leonard Tsipa struck the opener in the 37th minute with a header but Triangle equalised through Maziwisa in the 60th minute. 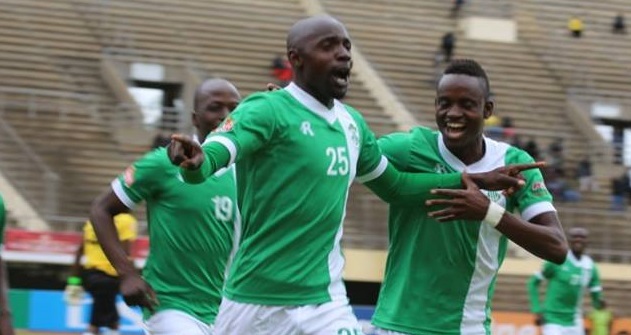 However Kudzanai Nyamupfukudza scored the winner in the 85th minute for the Green Machine to take full advantage after FC Platinum drew 1-1 with ZPC Kariba yesterday. 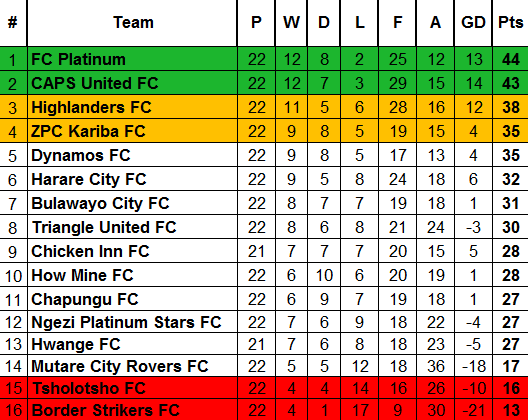 At Rufaro Stadium Wisdom Mutasa’s first goal for Dynamos saw them beat Chapungu 1-0 in a tightly contested match. Mutasa scored in the 14th minute after good work from Denver Mukamba. Chapungu wasted a glorious chance to equalise after getting a penalty when Philip Marufu was fouled in the box. However Tafadzwa Mombeshora’s spot kick was saved by Ashley Reyners as Dynamos saw out the rest of the match with the lead. Highlanders left it very late in Beitbridge to seal a dramatic 2-1 win over Border Strikers.Tabwa Kalunga put the home side in front in the 12th minute. Ralph Matema brought Highlanders level in the 69th minute before Nhlanhla Ndlovu made himself a hero with a 90th minute winner to take all three points for Bosso. The dramatic win saw Highlanders fans break down the perimeter fence in excitement.